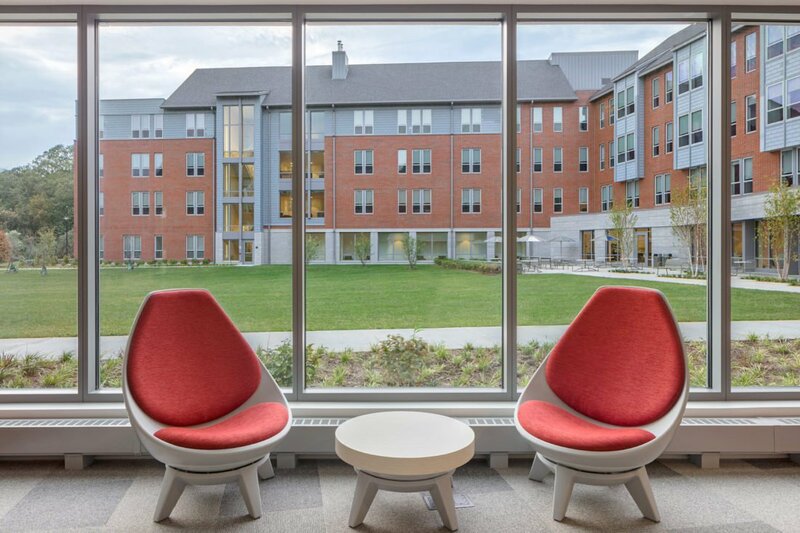 Cranshaw completed this 122,000 square foot, 416-bed new residence hall for New England Institute of Technology (NEIT) in the summer of 2017. 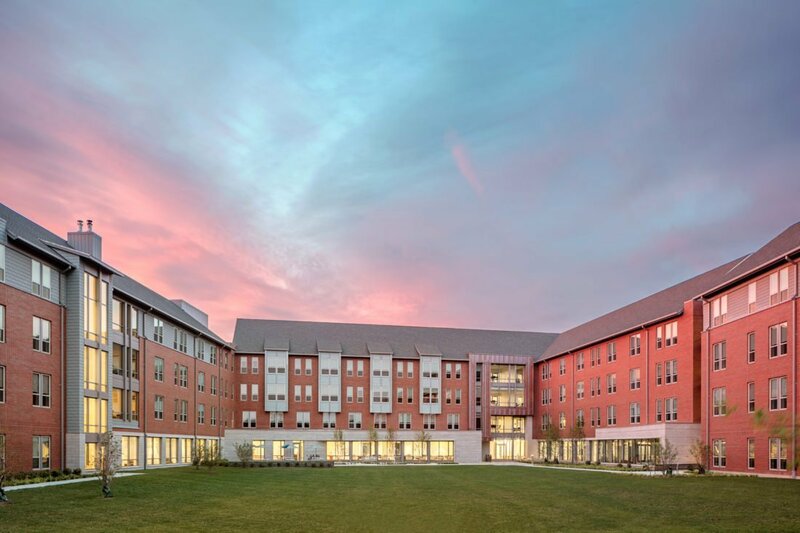 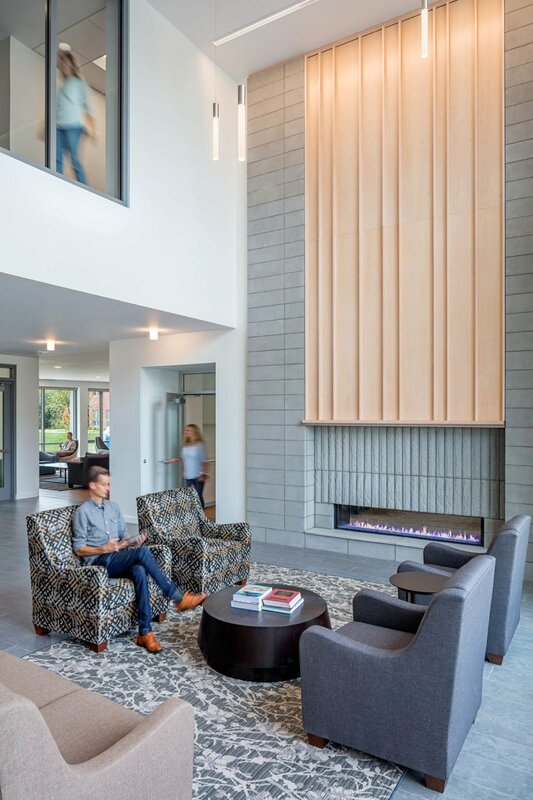 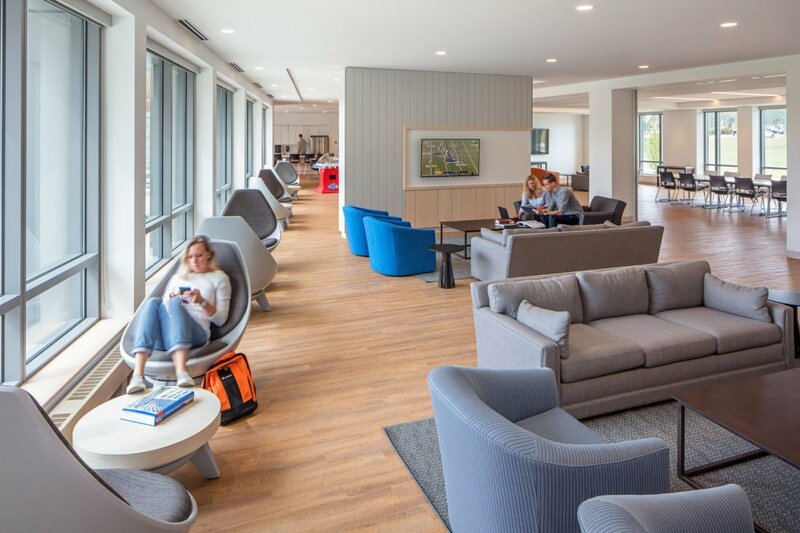 This is the first residence hall in the history of the school which marks their transition from a commuter-centric campus to a traditional college campus. 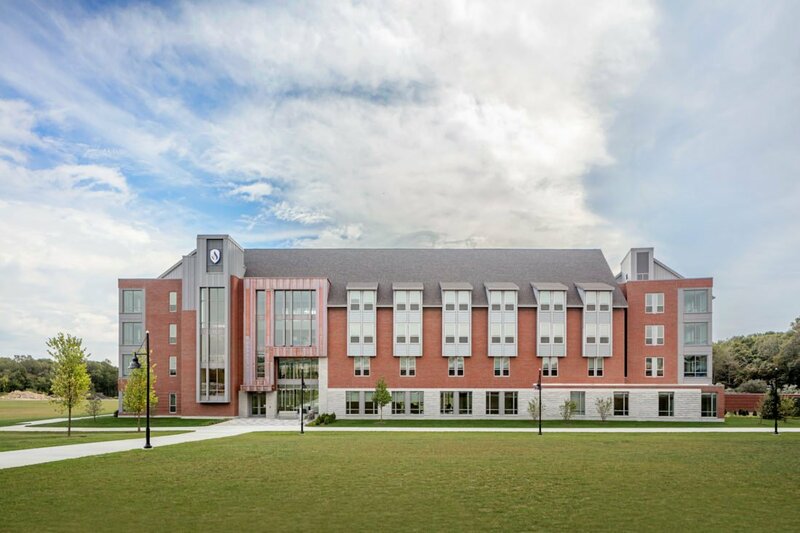 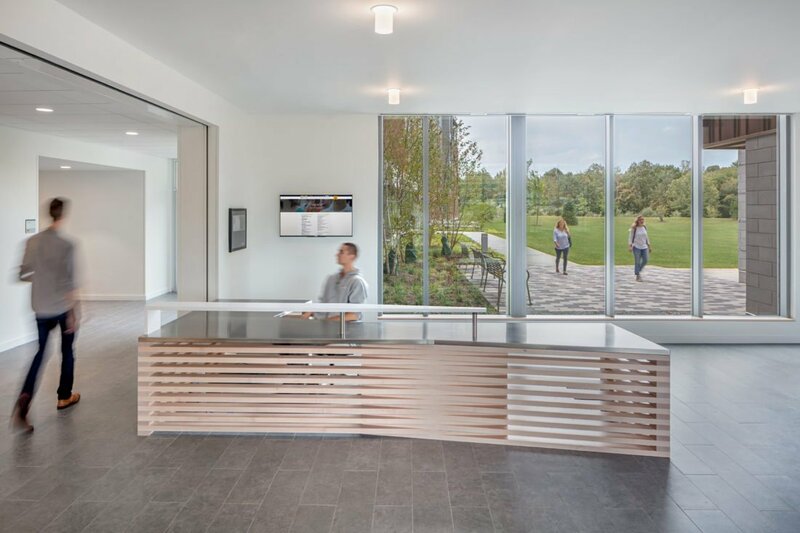 The building is an elegant blend of New England materials consisting of stone and metal panel/shingle cladding, red brick, pitched roofs, and vertical copper standing seam metal entry facades. 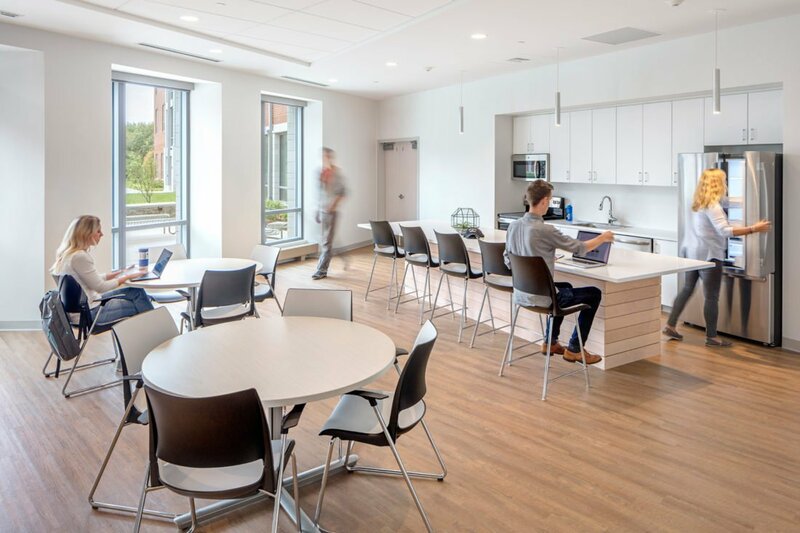 The first floor consists of a variety of support spaces such as a community kitchen; multi-purpose function spaces; conference rooms; administrative rooms; laundry and trash rooms. 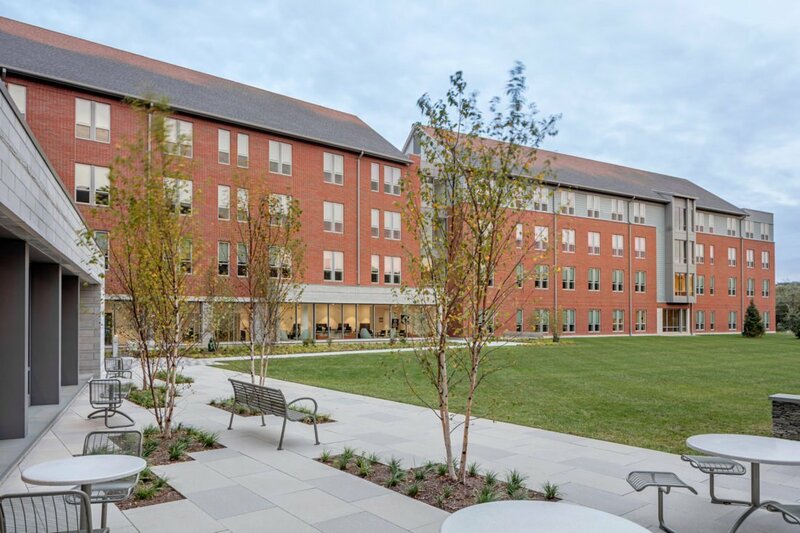 The project was delivered in a Design-Build methodology in collaboration with Elkus Manfredi and Brailsford Dunlavey.